Feeling Sorry? Make Everything Better with these 6 Wonderful Sorry Gift Ideas!! There are those awkward moments in life when you feel sorry. It’s basic to be sorry when you are wrong at any point of time. 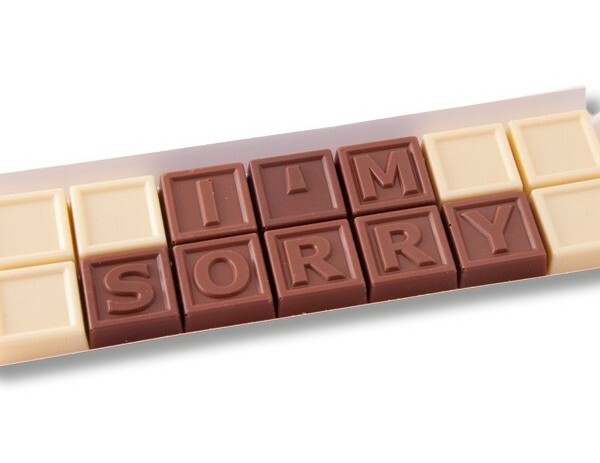 Expressing your apology those 3 words can bring things to normal but to make things better than before; you simply need some thoughtful Sorry Gift Ideas! Just like those 3 magical words of expressing love to someone very dear, ‘I am Sorry’ are 3 magical words of apology to make things better all again. You never know that when you fall in a regretting situation, sometimes willingly or sometimes unwillingly. Well, whatever is the state expressing your apology is the best thing to overcome the happening and making things well again. If in case, just feeling sorry is not enough, you simply need some of these wonderful Sorry gift ideas that are never to let you down. Sorry with Beautiful Flowers: Let Flowers do the Talking! Whenever you regret for messing up the things with anyone very close or dear to you, this is undoubtedly an exceptionally best sorry gift choice to make. Flowers express the feelings of heart in the best way. Thus, a flowery apology is sure to create wonders in making thing seven better than before. For this, you can choose most beautiful flowers with a Sorry note. Personalized gifts like a coffee mug give you endless ways of expressing your heartiest feelings as nothing else can. It can be a quote, image, text or anything you feel like to get printed on a coffee mug. 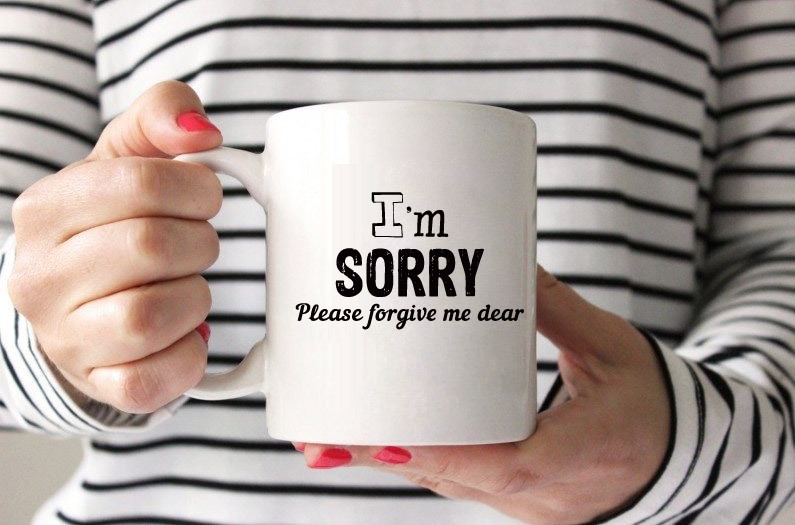 Thus, sorry texts printed on the coffee mug prove out to be a useful yet an expressive apology gift. 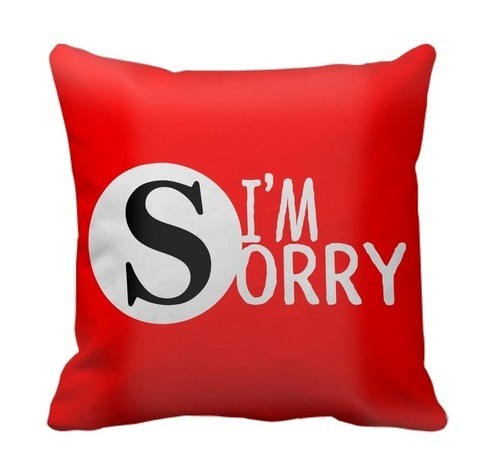 Another wonderful way of showcasing your gratitude for being sorry is gifting a cushion with I’m Sorry text printed on it. You can also choose a quote and get it printed with a photograph or image on it. There are plentiful wonderful ways of saying sorry and this is one of the best ways to do so. Sorry Card with Flowers and Teddy for Cute Confession! 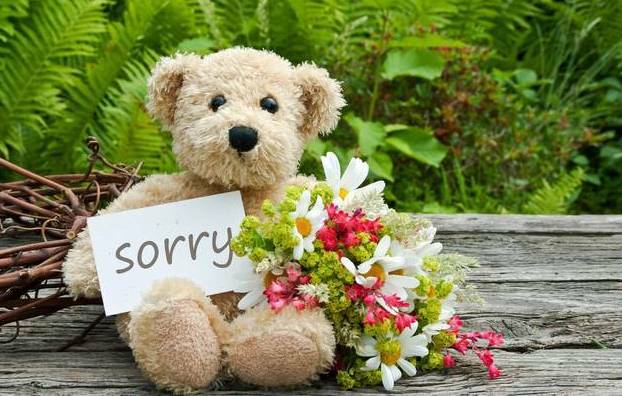 Want to make a cute apology to sweetheart, friend, sister, mother or anyone dear, well then this is what you need. A little hamper of cute and adorable teddy with a Sorry greeting card and flowers is sure to help you win his/her heart all again. 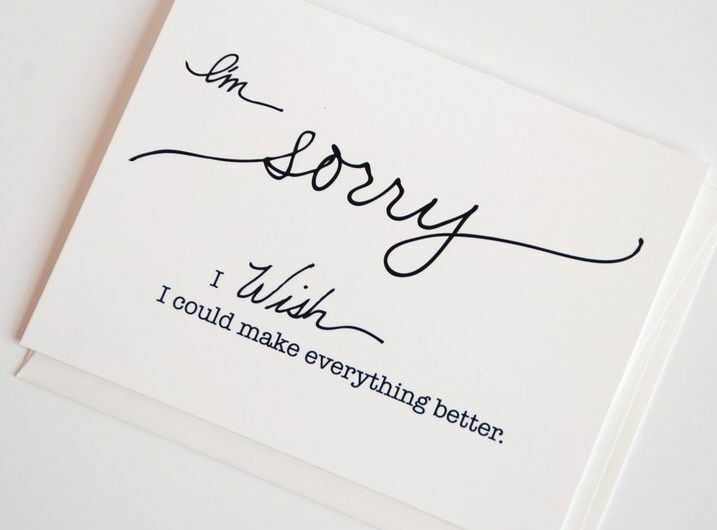 When you want to make the most expressive apology confession, just go ahead with a sorry greeting card. No wonder the magical words on the greeting card are sure to make everything better. Apart from buying a greeting card, you can also show your caring and thoughtful gesture by making a sorry card on own with simply creativity. Relationships are very delicate like a thread. Little moments of disagreement can turn everything worse. 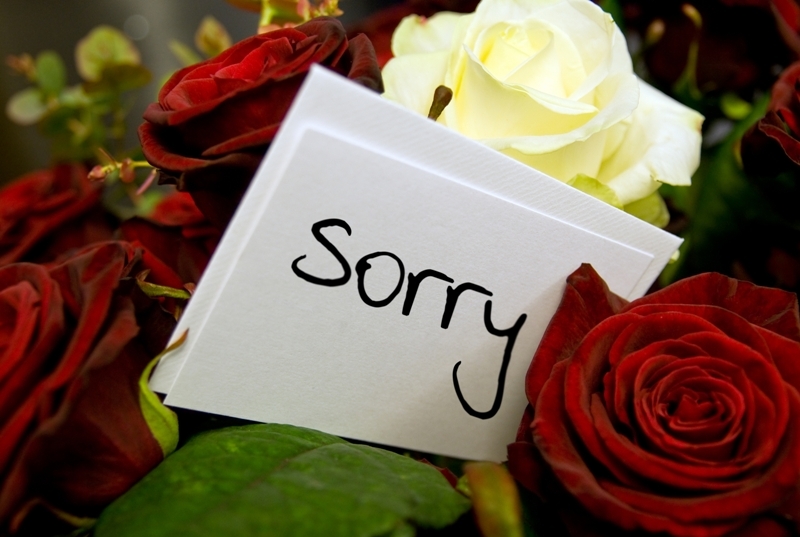 However Sorry is the word that can actually help you overcome the regretting situations. And when apologies made with heart and a gift then it is sure to turn everything better. To find such amazing Sorry Gifts, GiftaLove.com is always there to spoil you with amazing gift choices.